The two most important visits in our office are the first two. 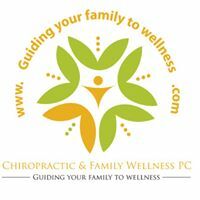 During the first visit, we identify your health goals and find out if we can help you. Then we perform an examination designed to uncover the cause of your concerns and decreased health. On the second visit, we explain to you our findings and what we can do to get you where you want to go. If we find that we cannot help you, we will certainly let you know and guide you in the right direction. What we promise is that we will tell you what we find and what we can do to help. We promise to look to find and address the cause of your problem. We promise to explain everything to you, how long it will take and how much it will cost you before we start treatment. If you have any questions, please do not hesitate to contact us. We are here to help.